Scaffolding Auckland and the Rodney Region. 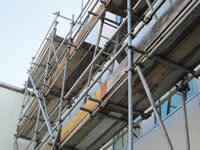 With many scaffolding companies to choose from in today’s market, it is important to make a choice which reflects safety, reliability and value for money. ROSC is a company which promotes top quality workmanship and site safety to ensure that the personnel working on your project are completely safe, as well as practically providing the needs for the project. By choosing ROSC you know that you are getting ticketed professionals, who understand your project and personal needs, and who give 100% effort in all areas. ROSC services the Auckland Wide Region, offering competitive quotes in the residential and light commercial market, as well as hire of planks and h-frames. 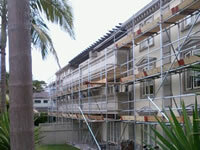 We pride ourselves with excellent reliable service, competitive prices, and of course safe and secure scaffolds from which to work. As a Rodney based company ROSC has committed itself to look after its Rodney customers. As such we endeavour to match any other written quote within the Hibiscus Coast area. Our prices are very competitive Auckland wide. Get in touch today for a free quote. I would like to thank you for your excellent service and professional manner in achieving, once again, a project carried out to budget and in such a short timeframe. This being our forth project together, I am happy to advise that we will be utilizing your services on all future projects. Mark and Ryan did a great job and took extra care to minimise any damage to our plants. They both were excellent workers and it’s nice to see employees who work so well, as it indicates the company is well managed. Great professionalism in both their work and in their communication, with attention paid to our particular site requirements. 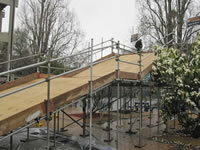 It has also been good working with a scaffolder with a carpentry trade background. Fantastic pricing and very happy with service, allowing us to paint upper story with scaffolding promptly removed so bricklayer could brick the lower level! Will definitely use again when it’s time to repaint. 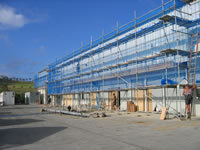 We moved to ROSC scaffolding after struggling to find someone reliable and cost effective for our Scaffolding needs. ROSC have been excellent on every job and we look forward to working with Nick for years to come.